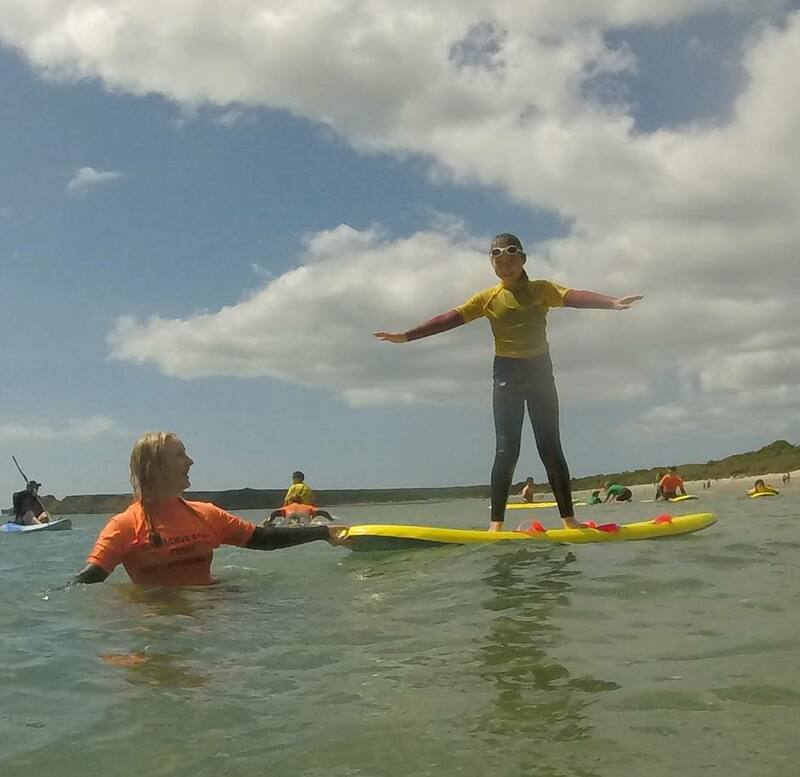 Splash Out – Surf Experience! 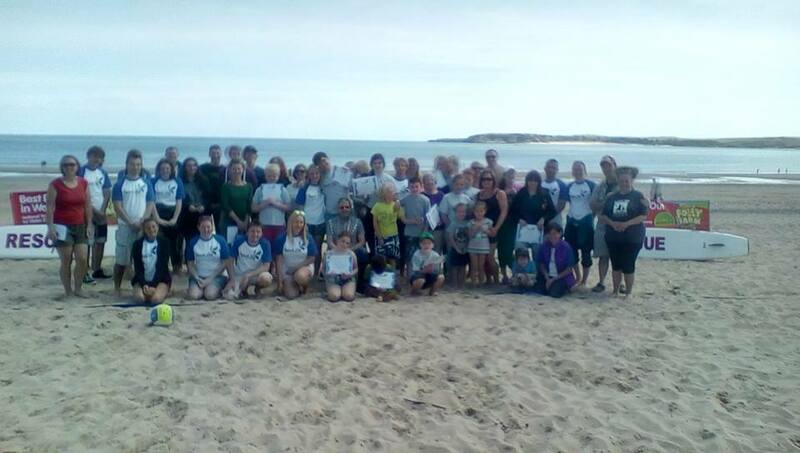 7th June 2015 saw Board Games head on down to Tenby to give a hand to this amazing bunch of people! 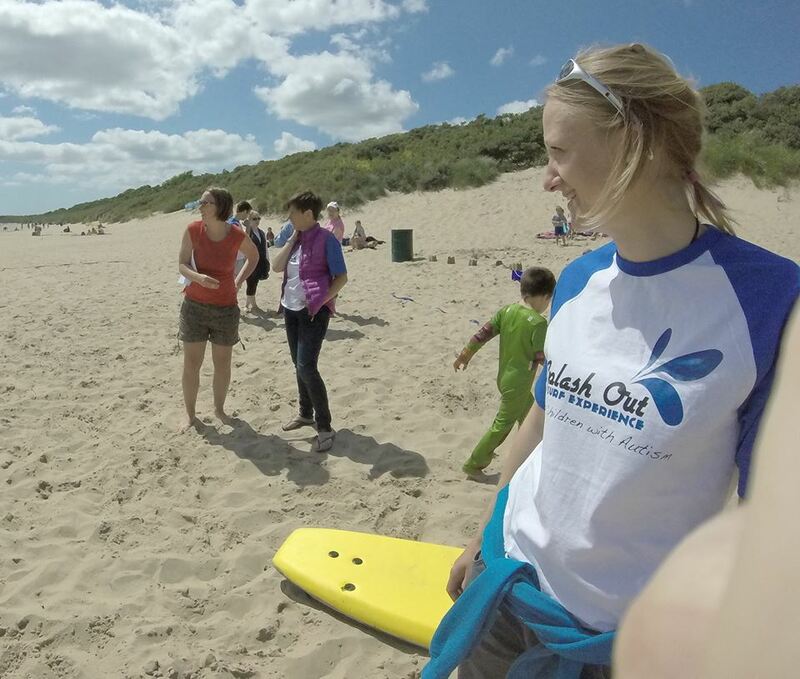 Splash Out is a day dedicated to children with Autism, getting them out in the water, playing on the beach and generally having fun! 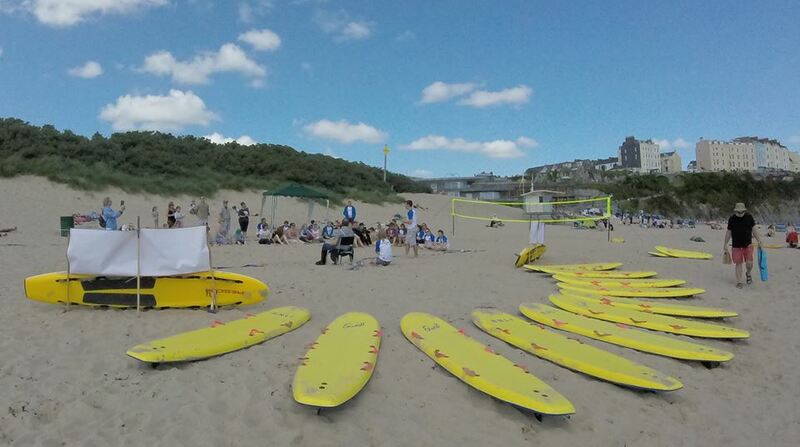 The day began with putting up gazebo’s, placing banners out, lining up the boards, shuffling wetsuits and generally making things ready before a quick briefing with all the surf buddies! 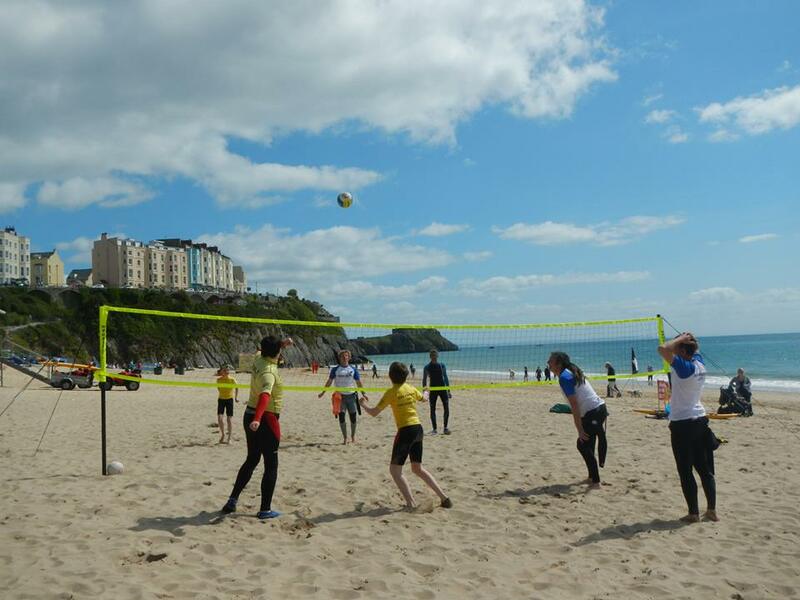 Each child would have their own surf buddy for the day that they would hang out with, take a dip in the sea, play volleyball and maybe make a sandcastle or dig a giant hole! 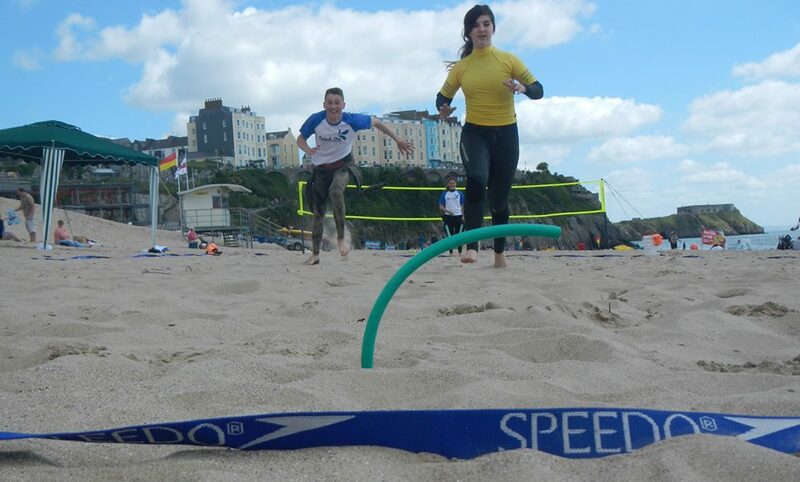 The kids started turning up with their families at about 10:30 and it wasn’t long before we all headed down to the beach in our wetsuits…ready for an action packed day! The sun was out, the waves were small but perfectly formed for these kids to play on! The day was all about giving things a go, kids were in the water, on the beach, having an ice cream, digging holes, playing running around games, collecting pebbles and many more awesome things! The day whizzed by and before we knew it, it was time for the presentation of certificates and prizes! It was great to be able to give every child a prize with such generous local businesses being involved from a day out at Folly Farm, a free pass into Oakwood Theme Park, free ice cream from Fecci, a coasteering experience with our sister company Celtic Quest Coasteering and not to forget our prize of a Stand up Paddle Board/Surfing adventure….the list goes on but WOW…what a generous bunch Pembrokeshire Businesses are! If you are interested then head on over and give the Splash Out experience a like on facebook and you will get all the updates about the next events coming up!